This Canon lens is the mac daddy of telephoto lenses. Even though it is still expensive it is $2,000 off it’s original price. Finally down to a reasonable price, the GoPro Hero7 Silver is just $200 right now. Put this amazing in-the-moment camera in your pocket for $30 less than we’ve seen it before. 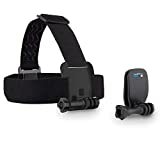 These came out and were $100 which was way too expensive next to a GoPro, even if they had really good picture quality. At $30, they are priced right to scratch any action cam itch you or your kids might have. Small and colorful these little instant cameras are perfect for travel and for the first time photographer. Best way to show off some of your moves or falls is with a GoPro strapped to your head. Not only is this a $21 IP camera, but it is one that works with Alexa, IFTTT, has two-way audio and several other high end features. 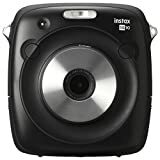 If you’re like a lot of people who got an Instax camera for Christmas, here’s a deal that just developed on film packs. Refurbished GoPro Action Cameras are On Sale Starting at just $69.99 Today! If you’ve wanted a legit GoPro for a while, but couldn’t bring yourself to pay retail (like most of us) this is your chance to own one. Several models are on sale, with the Hero starting at just $69.99. One of this year’s hot gift items at a crazy low price! I am just a Nikon fan. Every camera I have ever used has been a Nikon and at $300 off, this set up is a good deal. Get a jump on the Christmas wish list while it’s $50 off. Add a multi-format card reader to just about anything with a USB port for just $7 when you use promo code ANKERC67. The best deal we’ve ever seen on a GoPro is back! Attach this camera to your iPhone to take advantage of a real camera lens coupled with the photo processing and real-time scene processing of your iPhone. $112.49 is just a crazy price for DxO ONE. Big Savings on Storage Products, Today Only! This may be one of the best data storage sales Amazon has ever had. Need more backup or just more space for your PC, MAC, camera, phone, game system, etc? Well, it’s on sale today. If you own a Nikon Camera, a AF-S Micro 60mm f/2.8 Lens and stacks of slides or film negatives, this is for you. If you do any eBay or Etsy or whatever kind of small photography, this softbox with backgrounds is an absolute steal at just under $7. The best selling action camera on Amazon is back down to just $249, the same price it was on Black Friday. 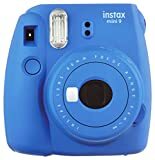 This little camera is a great way to get your kids interested in photography and digital memory making without risking an expensive camera or cel phone. I know quite a bit about Nikon cameras, lenses, and their accompanying prices. This is not only an incredible and versatile lens, but $300 for a new one is only $50 more expensive than the lowest refurbished price I’ve seen. Anker ROAV dash cameras are already a great value compared to competing models. A one-day sale on the full lineup makes for some truly unbeatable deals. You can certainly buy cheaper trail cams, but this one’s specifications and warranty are worth the extra spend.